Congresswoman-elect Alexandria Ocasio-Cortez threatened Donald Trump Jr with a potential subpoena Friday on Twitter in response to him sharing a meme making fun of her. In a photo posted to Trump Jr.'s Instagram account Thursday, Ocasio-Cortez and President Donald Trump are shown as though they were debating each other, with the Democratic rising star asking, "Why are you afraid of a socialist economy?" and the president replying, "Because Americans want to walk their dogs, not eat them." The caption "It's funny cuz its true!!!" accompanied Trump Jr.'s post, which garnered more than 66,000 likes as of Friday afternoon. But by that time, the Nuyorican had seen the viral meme � and had a comeback ready. 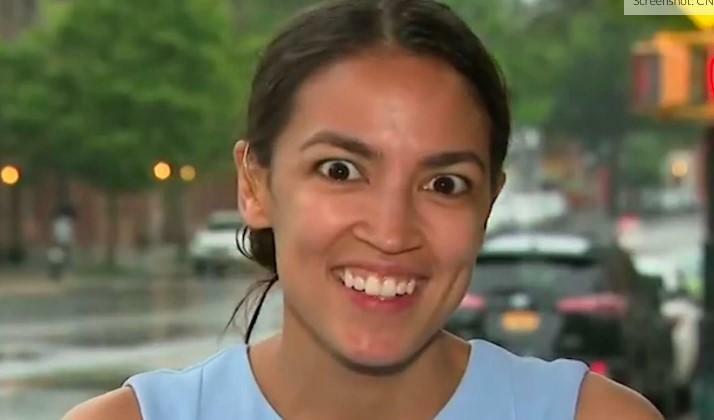 "I have noticed that Junior here has a habit of posting nonsense about me whenever the Mueller investigation heats up," Ocasio-Cortez wrote. "Please, keep it coming Jr - it�s definitely a 'very, very large brain' idea to troll a member of a body that will have subpoena power in a month." Please, keep it coming Jr - it�s definitely a �very, very large brain� idea to troll a member of a body that will have subpoena power in a month. We're going to be ruled over by complete morons if Republicans keep ignoring the will of their voters and choosing to act in the best interests of their corporate owners rather than the best interests of their voters.